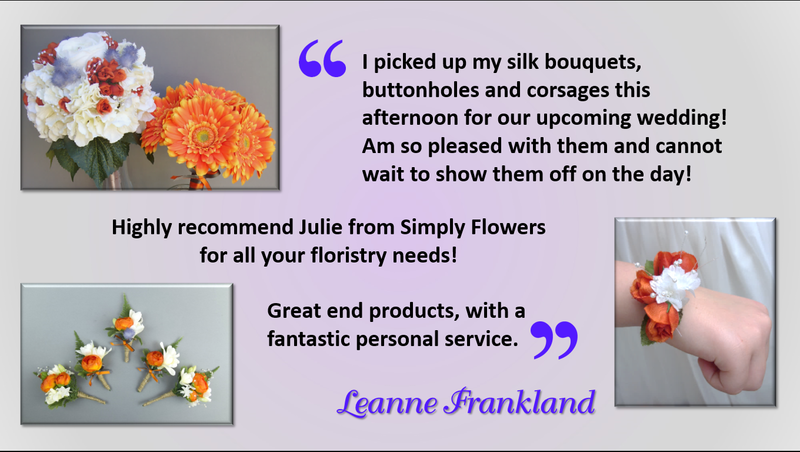 Please take a moment to read through some of the comments below, received from previous customers. 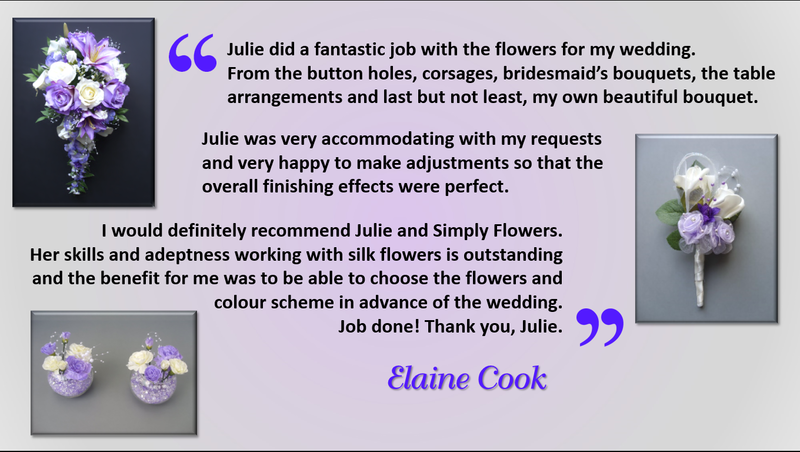 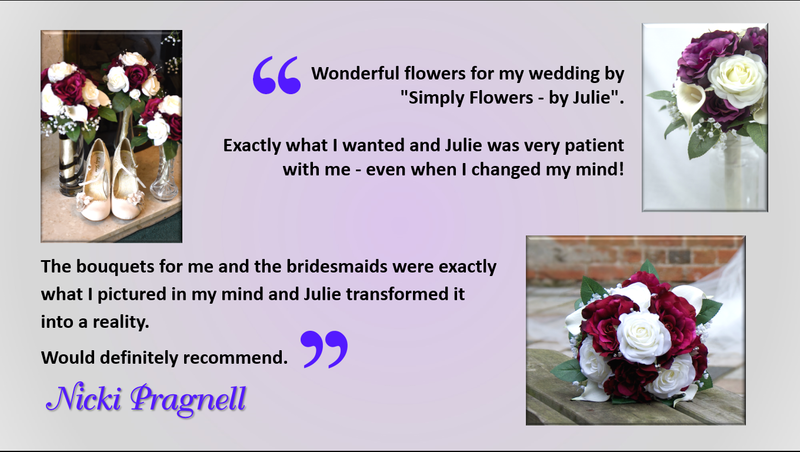 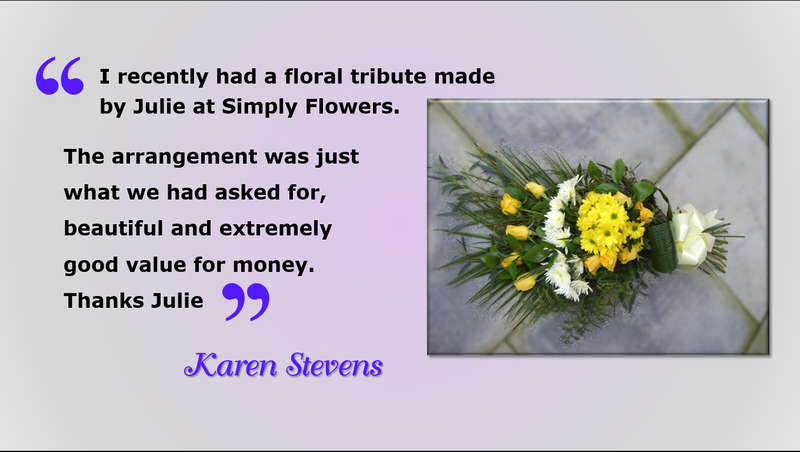 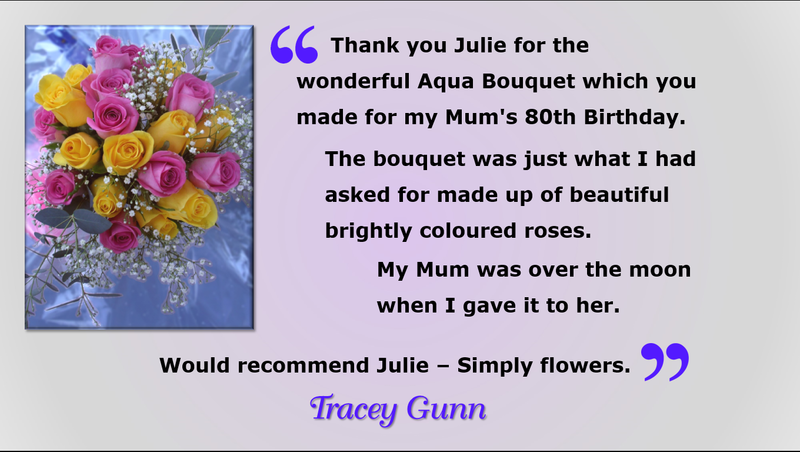 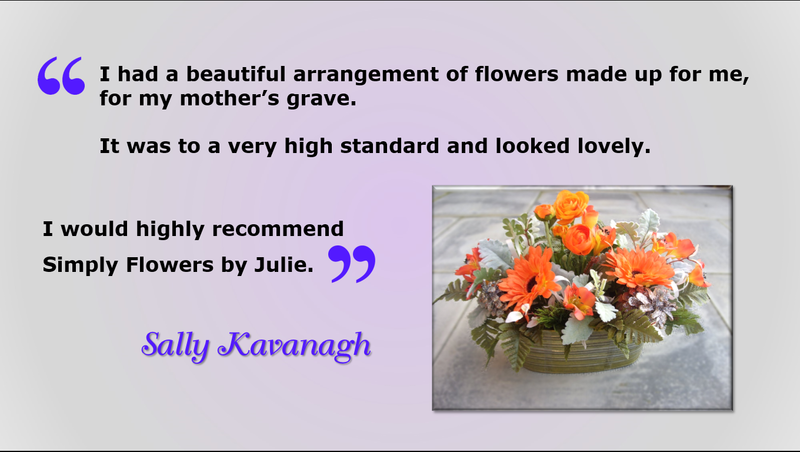 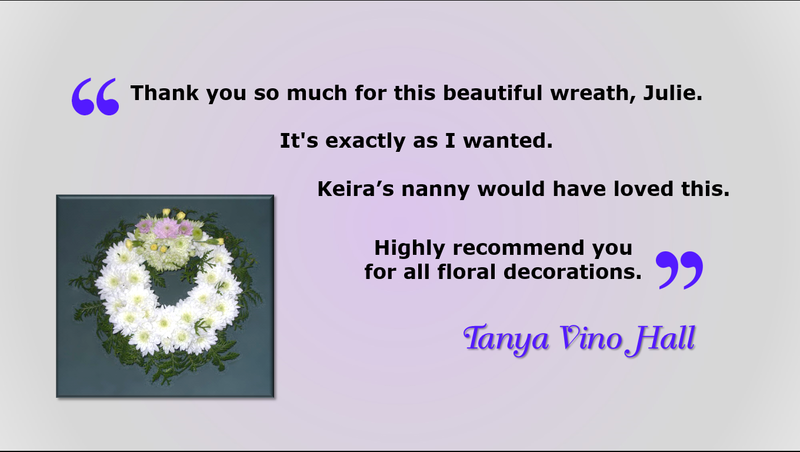 By spending time and ensuring attention to detail on every order, I aim to meet and exceed your expectations and create for you the perfect floral arrangement – from a simple ‘Thank You’ gift, to a complete Wedding Day package. 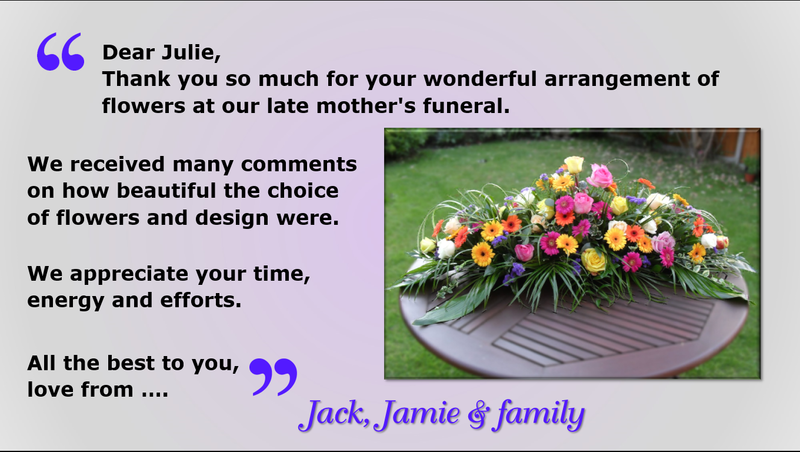 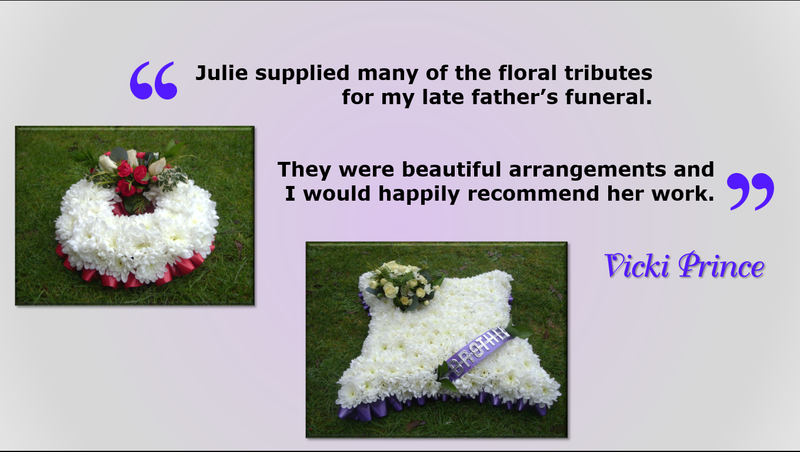 Many thanks to everyone who has kindly taken the time to pass on their appreciation.